We don't deserve dogs, the Internet saying goes. "Six stories of unconditional love," promises the poster for Dogs, the Netflix Original documentary series just released this week. What they don't tell you is what direction that unconditional love flows. Dogs is about dogs in the same way that Chef's Table is about food. Which is to say that it's only nominally about its titular subject; what it really offers is a deeper look at different aspects of humanity, across borders, generations, and cultures. Dogs does deliver an abundance of dogs within the series of six standalone episodes, and already the Internet has started to pick out their favorites among the pack. But while dogs may be at the center of each of the episodes, notice that the camera doesn't stay with them. The true focus of every story, it becomes quickly apparent, are the humans. Sure, the trailer lures us in with a handsome husky named Zeus trying to "talk" to his human on Skype—your Internet-standard adorable interaction, in other words. But that episode is perhaps the most human of all, it turns out, and the most subversive of the trope. The story is less about Zeus than it is about Ayham, a Syrian refugee who is trying to make a new life in Germany after surviving the perilous journey out of his war-torn country. To do so, he had to leave Zeus behind, along with his parents and friends. "I might never see them again," Ayham says in one of the most heartbreaking scenes in the series. Ayham tries to keep in contact with those left behind through regular Skype calls, and that includes chats with Zeus. Ayham wants to bring Zeus over to Germany—for now the only one he can take out of Syria legally—and he needs the help of his parents and his friends Naji and Amer. It's Naji who voices it out for everyone there: "I want to be a dog and come to you. They will put me in a cage, and I'll come to you." Zeus, adorable as he is, quickly fades into the background, as you realize that this is far more than just the story of Ayham's love for his dog. Zeus and Ayham are emblems for a larger story; this one's really about the impossibly complex refugee crisis in Syria and the families it affects. And so it goes with the rest of the series. There are lighter episodes, like "Scissors Down," a backstage look at the insanely competitive world of dog grooming. "Territorio de Zaguates" is heartwarming but fraught, telling the story of an incredible sanctuary for strays in the mountains of Costa Rica, the largest no-kill shelter in the world. There are stories about working dogs, service dogs, rescues; the documentary teams shot in Germany, Syria, the US, Italy, the US, and Costa Rica. It doesn't matter which episode you begin with: Each one is helmed by a different director, and it's clear that they invested lots of time with their subjects, following them for months on end. At around 50 minutes each, the episodes are satisfying, substantial, and complete—which also means that they're not designed for binge-watching, making them a novelty in the Netflix universe. The directors each bring their own style, too. 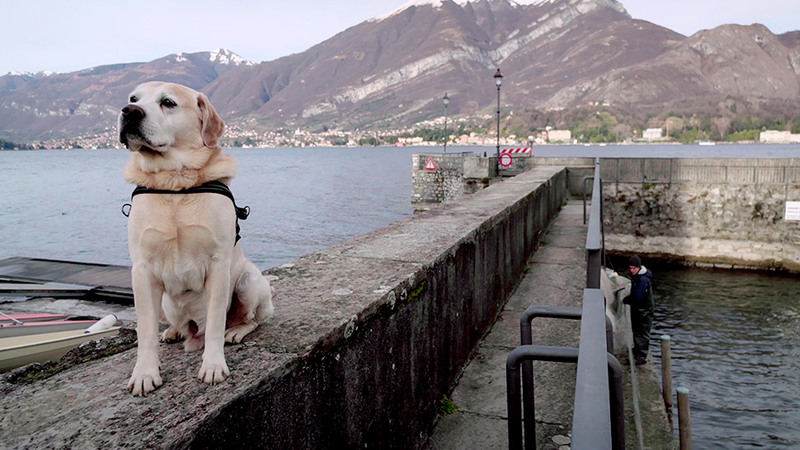 Watch, in particular, Richard Hankin's poetry of "Ice on the Water," set on Lake Como, as the camera eats up the gorgeous light as it lingers on the expressive face of the yellow labrador named Ice. The directors vary in their treatment of the stories they tell, but they're alike in one way: the cameras follow the humans, not the dogs. 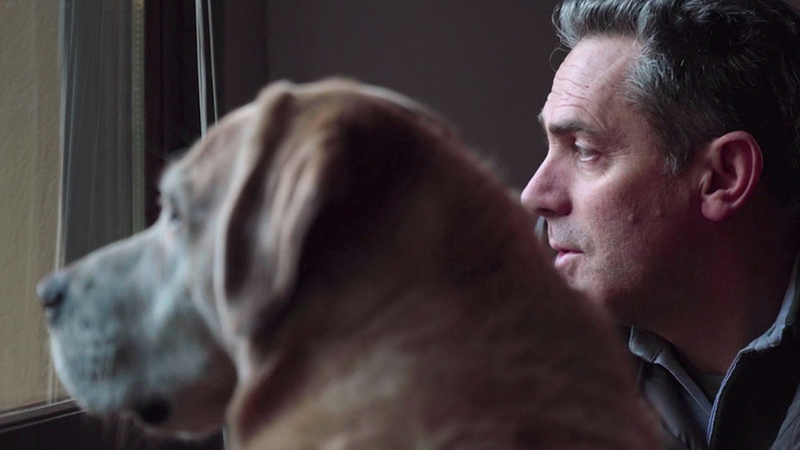 In showing the many faces of our relationship with Man's Best Friend, the series instead reflects our hearts. We already know that dogs are wonderful companions, and that they are good-hearted, loving, and fiercely loyal. What we find out in this series is that humans sometimes are, too.